The number of households with cell phones but no landlines continues to grow, but the recession doesn’t seem to be forcing poor cellular users to abandon their traditional wired phones any faster than higher-income people are. The finding, from data compiled by the federal Centers for Disease Control and Prevention, suggests that when it comes to telephone habits, peoples’ decisions are affected more by age and where they live than by their economic situations. The latest CDC study, released Wednesday, is consistent with its past reports: Overall, the poor remain likelier than higher earners to live in households that only have cell phones, and the proportion of wireless-only homes at all income levels continues to grow. Yet surprisingly, the rate of growth of cell-only homes is consistent across all income lines despite the economy’s recent swoon, the report shows. Whether households are poor, near poor or not poor, the proportion with only cells has about doubled between the first half of 2006 and the first half of 2009, according to the most recent statistics available. Overall, 23 percent of U.S. homes have only cell phones, up from 11 percent in 2006. Among the poor, the proportion of wireless-only households has grown from 16 percent in 2006 to 33 percent this year. During that same period, the number of cell-only homes has grown from 14 percent to 27 percent among the near poor and from 9 percent to 19 percent among those who are not poor. The study considered people to be poor if they earned below the federal poverty threshold, which is about $11,000 for a person living alone and $22,000 for a family of four. They were labeled near poor if their income was between that and twice those levels, and not poor if their household earned more than twice the poverty levels. Most homes — six in 10 — had both cell and landline phones in the first half of this year. 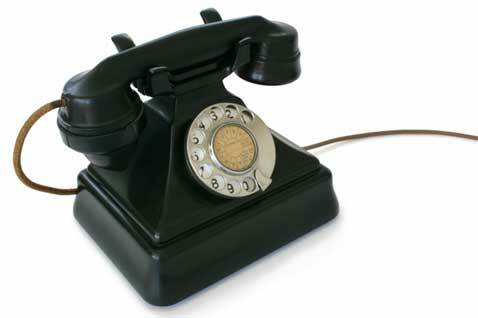 Only about one in six had landlines without wireless phones, and one in 50 had no phones at all. The number of households effectively reachable only by cell has also continued to rise, hitting 37 percent this year. That includes those who only have cells and those who also have a landline but seldom take calls on it, often because it is plugged into a computer. As past studies have shown, age matters. More than a third of adults age 18 to 34 live in cell-only homes, including 46 percent for those age 25 to 29. But the number falls off sharply: Of those age 35 to 44, just 22 percent are from wireless-only households. As in the past, people from the South and Midwest are likelier than others to live in cell-only homes. Adults who live alone or with unrelated adults are also likelier to have only wireless phones than are those who live with children or related adults. The data was compiled by the National Health Interview Survey, which is conducted by the CDC. The latest survey involved in-person interviews with members of 12,447 households conducted from January through June.